Cesson in France is twinned with Chipping Sodbury and the Parish of Dodington. July 1914 it was essentially an agricultural community, with three large farms growing wheat and sugar beet. 2 to 14 August 1914 all men aged 20-50 had to assemble and leave for the war, with vehicles, horses and harness. August 1915 onwards Doctor Gardavot was called up, so that the village no longer had a doctor. This was the worst year of casualties for Cesson. Eight men from the village were killed. Houses were requisitioned for refugees from Paris. There was a military camp near the village and a regiment billeted in the Château de Saint-Leu. 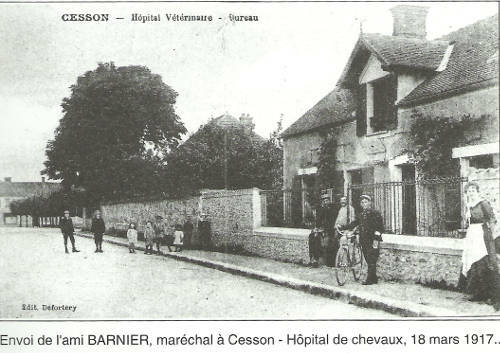 Some villagers volunteered at the Military Hospital in Melun. 14 July 1919 victory was officially celebrated in Cesson by a torchlight procession, fireworks and a dance. 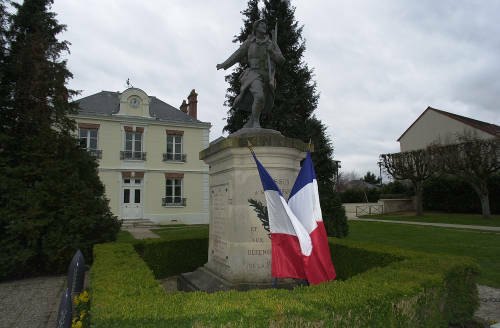 In total, 22 men from Cesson had given their lives for their country. In May 1922 the Monument to the soldiers from Cesson who gave their lives, was unveiled by a representative of the Prefect of Seine et Marne. 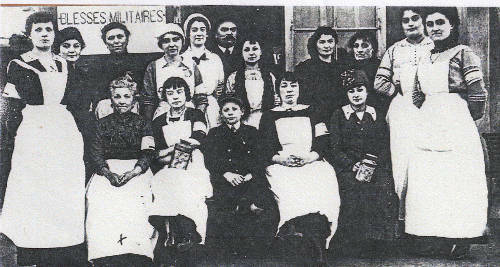 Women from Cesson at Melun Secondary School, converted into a military hospital. A veterinary hospital for wounded horses was opened in the tiny village of Verneau near Cesson.